hearing aid evaluation is the next step once it has been determined that you have a hearing loss that is treatable with hearing aids. The hearing aid evaluation is generally included in your comprehensive hearing evaluation. There is no additional charge for a hearing aid evaluation and demonstration. A complete history will help us determine how much your hearing loss is impacting your day-to-day life. We will discuss with you and your loved one what concerns are present surrounding your hearing loss. Is the television too loud for everyone else? Does everyone mumble? Is it difficult to hear when background noise is present? At this time, we also take a look at any family history of hearing loss or any previous noise exposure. Finally, we review your lifestyle and what kinds of listening situations are a concern for you such as church, group settings, restaurants, meetings, etc. During your hearing aid evaluation, the hearing test will be explained in detail. We will discuss why you might be experiencing difficulty in certain situations. We will also discuss effective communication strategies to help when hearing is difficult. The hearing test, along with lifestyle and budget considerations will help us determine your best hearing solution. During the hearing aid evaluation, you will have a hearing aid demonstration. This allows you to experience first-hand how hearing aids sound and feel. This can be quite an experience for some who have not realized the impact of their hearing loss. A hearing aid demonstration allows a hearing loss patient to try on a pair of hearing aids in the office. You can experience the sound and see on the computer screen how you hear with and without them. Our audiologist, Beth Cegavske, is an expert at navigating the complex relationship between hearing aids and you. Once a decision has been made as to the style and type of hearing aid to be ordered, a follow-up appointment will be scheduled for a hearing aid fitting. Depending upon the order, this appointment may be scheduled within one to two weeks. Hearing Dynamics follows Best Practices when identifying the best hearing aids for you! This video discusses 6 key considerations when selecting the Best Hearing Aids for you. Deciding which hearing aids are right for you requires more than just looking at a hearing test. It requires a comprehensive hearing evaluation and careful consideration of your specific hearing needs. #1. 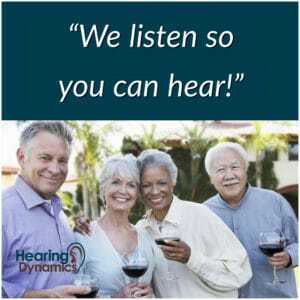 Hearing Loss Severity – The simple fact is that you need hearing aids that are capable of restarting audibility whether you have a mild or severe hearing loss that can provide a correctly prescribed amount of sound. #2. Speech-in-Noise Score – This is something that should be added to every hearing evaluation. One common test is the Quick SIN (Speech-In-Noise) Test. It indicates how well hearing aids will help you understand speech in a noisy situation and gives the audiologist important information needed to guide the hearing aid selection process. #3. Accessibility of a particular Brand – If you have difficulty getting in to see your hearing care professional, you may benefit from remotely programmed devices. You may not have accessibility to a particular brand in your area so this may restrict your options. #4. Important Features – There is a long list of questions you should be asked when deciding which Hearing Aid Features would provide you with the most benefit. This can’t be done by just looking at a hearing test. This can take time to make sure it is done well. #5. Consideration of Lifestyle – Recommending a specific technology level depends on your lifestyle. This has nothing to do with the severity of your hearing loss. The more complex listening environments you find yourself in, the higher technology you will require. #6. Does your Hearing Care Provider follow “Best Practices”? – Even the perfect hearing aid purchased from and fit by a provider who does not follow “best practices” will not provide you with the maximum benefit of that hearing aid. Basically, they are the fundamentals that a hearing care professional should follow when recommending, fitting, and programming a set of hearing aids. Hearing aids can dramatically improve your life, but only if you are selecting the right devices. Unfortunately, this process is more complex than most people realize. It cannot be done by simply looking at a hearing test, but it can be done very well if you take all of these factors into consideration. Hearing Dynamics dispenses hearing aids from all of the six major manufacturers. 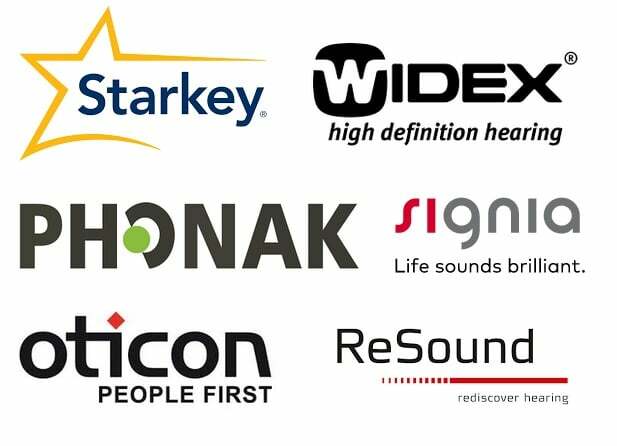 We evaluate and fit Starkey, Widex, Signia, Oticon, Phonak and ReSound.